> Kinetic Construction (1920). Comments by [Grau]. > Voice mosaic (2006 c.). Siggraph. > XPlora 1 (1994) "One of the first author CDs... A true creation where are mixed music, digital image, video-clips and song texts" (our translation). [Couchot 2003]. Gabriel Ulrike. Intimate mental relationship. Generative art with interaction. > Mutagen (1997) Bio art. [Whitelaw]. - Combiner vision et modélisation. by André Gagalowicz at Paris ACM Siggraph, 2/2012. < Computer Vision/Computer Graphics Collaboration Techniques. by André Gagalowick André and Wilfried Philips (Eds.) 5th International Conference, Mirage 2011. Springer LNCS 6930. 2011. Gagnaire Aline. A member of Oupeinpo. Gagneré Georges. Director and designer of real time intermedia devices. La Gaîté lyrique, a theater dedicated to digital entertainment and art. Gaîté lyrique. 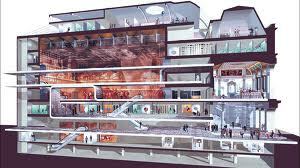 Cultural center, mainly digital art oriented. Opened since March 2011. CEO Jérôme Delormas .Resource center manager: Catheine Disciullo. - A note in 2012 by Dominique Moulon. < La Gaité lyique, du lyrique au numérique, 1760-2010. by Manuelle Gautrand, Archibooks c. 2011. History of the place, description of the project. GAIV Groupe Art et Informatique de Vincennes à Saint-Denis. - Quoted by [Berger-Lioret] p.38. Cited [Baudouin] for its musical activities in 1975, who writes: "The group members interested by music - Jacques Arveiller, Marc Battier, Gilbert Dalmasso, Giuseppe Englert, Patrick Greussay and Didier Roncin - comose some twenty hybrid pieces using comparatively simple algorithms... " (our translation). - Dedicated wiki Art génératif. < Computational Aesthetic Evaluation: Past and Future in McCormack 2012. - Thoughts on Computational Creativity. - Quoted by [Berger-Lioret] p. 71, 121, 136, 230. Galapagos. Software generator of forms. Quoted by [Berger-Lioret] p.173. Galatema. Works by Alain Lioret. Galerie d'art numérique A website. Galbraith Megan. A disciple of John Maeda, working on generatively designed cloth. - Quoted by [Berger-Lioret] p. 78. < Réalité virtuelle, synthèse d'images et visualisation. Benoit Crespin, Eric Galin and Bernard Péroche eds. Hermès/Lavoisier 2004 (special issue of CFAO review). Galle Tom. Web and conceptual art. > Tinder VR (2016) by Tom Galle, Moises Sanabria, John Yuyi. Shown at Charlot Exposition in 2018: video of the performance and acrylic print. See a description in Data Dating show catalog. - Takes part in Plot project: informal meetings organized par Jean Cristofol (philosopher), Guillaume Stagnaro and Fabrice Gallis (artistes), Douglas Edric Stanley and the students of Ecole supérieure d'art d'Aix-en-Provence. (Indicated by Alain Lioret). - Quoted by [Berger-Lioret] p. 100. Gallot Genevieve. Manager at Ensad. 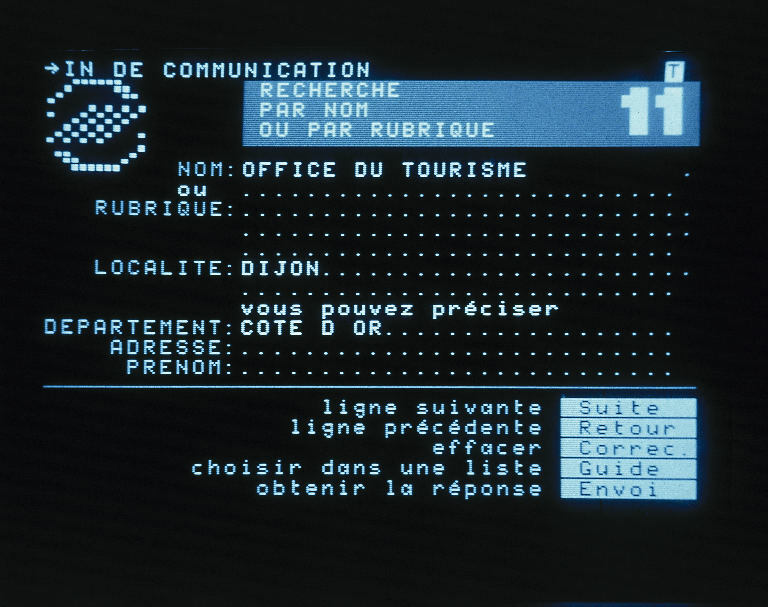 < Les enjeux culturels de l'informatisation. Documentation française 1980. Galloway Alex and RSG Rhizome. Communication and social relationships. - [Popper 2 ] p. 317-319. [Berger-Lioret] p. 103. > Hole in Space (1980) cited by [Parfait, 2001]. > Carnivore. Starting from texts (1977) [Paul]. - Several books, see Webpage. Galloway Kit (associate Sherrie Rabinowitz). - [Popper 1] p. 139. > Electronic cafe (1984). "transcultural multi-media tele-collaborative network". Quoted with pho by [Greene] p. 22, 24. > Hole-in-Space (1980) Telecommunications art. > Satellite arts (1977) [Paul], [Greene], [Wands]. < Simulacron 3, by Daniel Galouye. Editions J'ai Lu 1964. Gambert Chloé. Sound design an spatialization. A member of Orkestronika group. Gamr7. A French company founded by Lionel Barret and BernardLegaut. Contents creation, urban environments. Gantelet Stéphane. Sculpture. Writes cooperatively. His blog. > Le dossier est vide (2012), with Juliette Mézenc. Performance in 2013 in in Chercher le texte symposium. 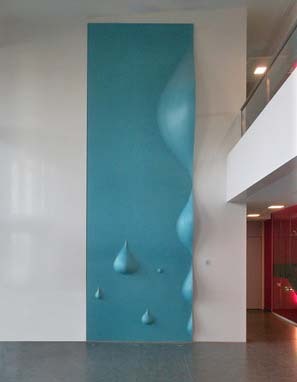 > Haut relief pour l'ONF (2009). < Vidéo et société virtuelle. by Alfred Willener, Guy Milliard and Alex Ganty. Tema Communication, 1972. > Can't (2016),A facial expression recognition system (technology not indicated) controls the moves of a dress. > No(where) Now(here) (2014) Eye-tracking controls the ligths on the dress. < Théâtre et nouvelles technologies. by Lucile Garbagnati and Pierre Morelli eds. Editions universitaires de Dijon 2006. Garcia-Colombo Gabriel. Arts Medialab page. "Using video mapping and projection, he captures and shares his memories and friendships". Garcia-Rossi Horacio. Wikipedia . A member of GRAV. Light art and social investigation. Cited by [Popper 1] p.151. - According to [Couchot 2003], he uses the computer to prepare the graphic structure of his works, then finishes with acrylic colors. Garnavault Sylvain. Founder of Cie Parabole. (jugglery). > The Bomb Project (2000). Collection of documents about Hiroshima, begun in 1997, published on the web on 2000. [Greene]. Garnier François Film maker, animation, experimental cinema. Professor at Ensad ( École Nationale Supérieure des Arts Décoratifs, Paris), in charge of the EN-ER program, dedicated to R&D in artistic practices in persistent virtual environments. - Paris ACM Siggraph page. < Emergence of a space medium. Aesthetic and technical study of spatial perception in virtual reality. Communication at Vric 2011. > Don Quichotte (1990). He takes part in the Medialab of Canal+ (France). Garousi Mehrdad. Painter, photographer, fractalist. (Hamadan, Iran). < Experience of Infinity. Communication at Vric 2011. > The White Devil (1992). A very dynamic interaction about lack of security and self-contraction in the US. Description in [Couchot 2003] p. 56 by [Couchot 2003]. > :Coney Island baby (1999) [Wands]. > Energy Man (1987) Amiga Inkjet print Quoted by [Lieser] with a picture. Gasperini Jim and Tennessee Rice Dixon. > ScruTiny in the Great Round (1996). [Paul]. Gatarsky Richard. Specialist of new medias. Gates Nathan. Objects. Hacking and diversion of objects, mostly elecronic. One page with pictures in [Dermineur]. > Sagrada Familia (1884). Church in Barcelona, begun in 1884. [Burry] describes the mathematical bases of this building, pp. 34-39 et 118-121(photos and schemes). - Quoted by [Berger-Lioret] p. 83. < 2100, récit du prochain siècle. by Thierry Gaudin ed. with the cooperation of Jean-François Degremont, Catherine Distler, Gilbert Payan and François Pharabod. Payot 1990. Quoted by [Berger-Lioret] p. 83. > Kindleglitch (2012) . Printed pictures of tablets. > AbstractTris (2011(2015). Assembly of components. > Hard Drivin’ (2010 c.). A kinetic installation created by Ivan Twohig, Benjamin Gaulon and Brian Solon. Gaulon Olivier. Interactive works modifying images according to sound inputs. .
< Les expérimentations artistiques: Michael Gaumnitz (about his works on Graph8) at a Paris ACM Siggraph session, in partnership with EnsadLab, INA and IRCAV. Gaussier Philippe. A robot scientist. 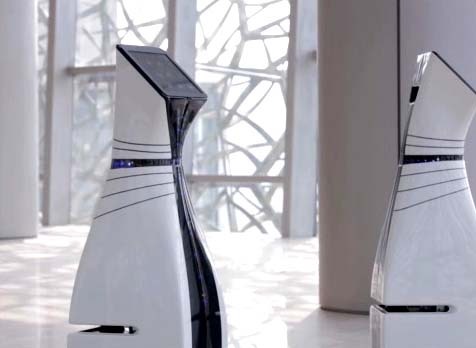 - The Berenson robot has been used in Quai Branly (2012) 'museum as an art critic. Wikipedia. Gaut Berys. Philosophy professor and scientist at University of St Andrews. < A philosophy of cinematic art. Cambridge (UK) University Press, 2010. Gauthier Hortense. A member of HP Process group. - Works on language and technologies. Poetry and sensors. Empreintes workshop, April 2012. by Hortense Gauthier and Philippe Boisnard. The announcement. < Building interactive world in 3D. Virtualisation sets and pre-visualization for games, films and the web. Elsevier 2005. Gautier Pascal. Artistic creations with robots (orchestra director, graphic humor...) mimicking human moves after infrared capture. Gawlab. A collective group founded in Dakar (Senegal) in 2004 by Sylviane Diop. A virtual and immersive lab. - An article by Sylviane Diop in [Dermineur]. > Metatrame (2004). Immersive platform. < Cognitive neuroscience, the biology of the mind. by Michael Michael S., Richard B. Ivry and George R. Mangun. Norton, New York, 1998-2009. A neuroscience bible. No art. > communimage (1999), by c a l c and Johannes Gees. [Greene] pp. 164-168 (with screen captures). Gehry Frank Architect. Using Catia software [Picon]. See architecture. < L'Experience Music Project de Seattle. by Mireille Boris. Pixel, June 1999. On line (in French). > Guggenheim Museum, Bilbao (1997). Geib Dona J. Print and wax on wood panels, with gold leaf. > Remnants of the Soul (2003) [Wands]. < Machine beauty (1998). 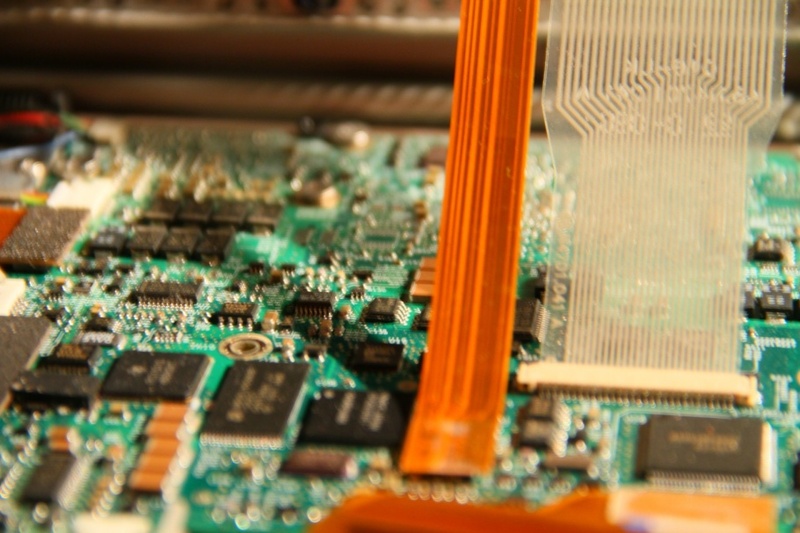 Elegance and the heart of technology. Basic Books 1998. Industrial design. Gelfand Dmitry. See Evelina Domnitch with which he forms an artist duo. Generative Typografie. A seminar, led by Forian Jennett and Philipp Pape. > Generative Typografie (2008). A seminar held in Mainz (Germany), with different works. 4 pages with pictures in [Bohnacker]. Genesis Simulation of sound environments. Genetic Moo. A collaboration between Tim Pickup and Nicola Schauerman. Interactive video installations, "in pixels and light". > Inspiration Inclusive Theatre (2017). Genetic Moo takes part in workshops and show. - Since 2008, Genetic Moo have been developing a series of interactive video installations based on imagined future evolutions. In darkened spaces audiences can engage with fantastical creatures which combine elements of the human and the animal. Created in video and choreographed by hand-written code, these creatures respond in a variety of life-like ways to audience motion, sound and touch. Their work draws widely from science, particularly in the areas of evolution, symbiosis, morphology, phylogeny, mutation and artificial life. - In 2014, they are working on Microworld, a curatorial and collaborative experiment in creating a digital ecosystem of artworks that react to each other and the audience. < Introduction à l'architexte (1979). Genevois Hugues. Music. Web page of Les Complémentaires. < La communication plurielle. L'interaction dans les téléconférences. Pascal Perin et Michel Gensollen eds. La documentation Française, 1992. George Philip. Mnemonicon 3, memory dissolves. > Mnemonicon 23 (2000 c.) Siggraph. > Je hais les histoires d'amour (1989). Quoted with a picture by [artpress 2015]. Germany. See our "geographical guide". Gerrard John. Large size installations. > Grow Finish Unit (near Elkhart, Kansas) (2008). 3D real time Installation . Programming by Helmut Bressler. [Moulon] p.44-46 and 51 with photo. > Are We There Yet? (2011). A new media art installation in the San Francisco Contemporary Jewish Museum by Ken Goldberg and Gil Gershoni. See a comment by Random magazine. Geslin Erik. A video games specialist. Quoted by Aziozmanoff 2015. Gerstner Karl. Artist and critic. Cinetic art . Encyclopédie Larousse. De Geuzen. Group formed by de Riek Sijbring, Renee Turner and Femke Snelting. > Untravelling Histories (2002). [Greene]. Ghent Emmanuel. Music Wikipedia. Presented at length by [Baudouin]. - Works in the 1970's. Gherban Alexandre. One of the founders of Transitoire Observable group. > Aphorismes (2005). Screen capture. Gherbi Nikola. Installations. No web presence. - [Popper 2] 369-370 " According to what theoretically seems to be a post-Jungian interpretation of mysticism elaborated in two academic studies... Gherbi investigates the mystical human quest and is objectification... ". < L'outre-lecture. Manipuler, (s') approprier, interpréter le web. by Frank Ghitalla et al. Published by Centre Pompidou. SH No 05 (concepts) and SH No 09 (concepts). 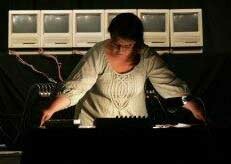 Ghomi Emilien. . Interaction scientist and music instruments experimenter. - Interview by Ouest-France. 1/25/2013. Gibson Jerod Typographical research. Quoted by Créanum Sept-Oct 2010. William Gibson. 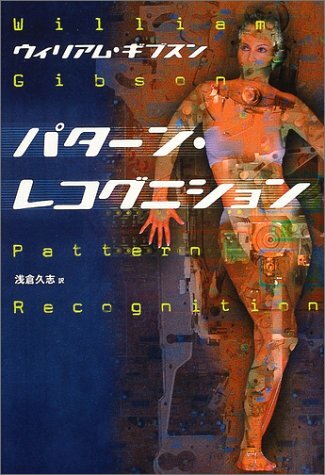 A Japanese edition of Pattern Recognition. Gibson Ruth. Dance. Member of Igloo. > Windowsninetyeight (1998). 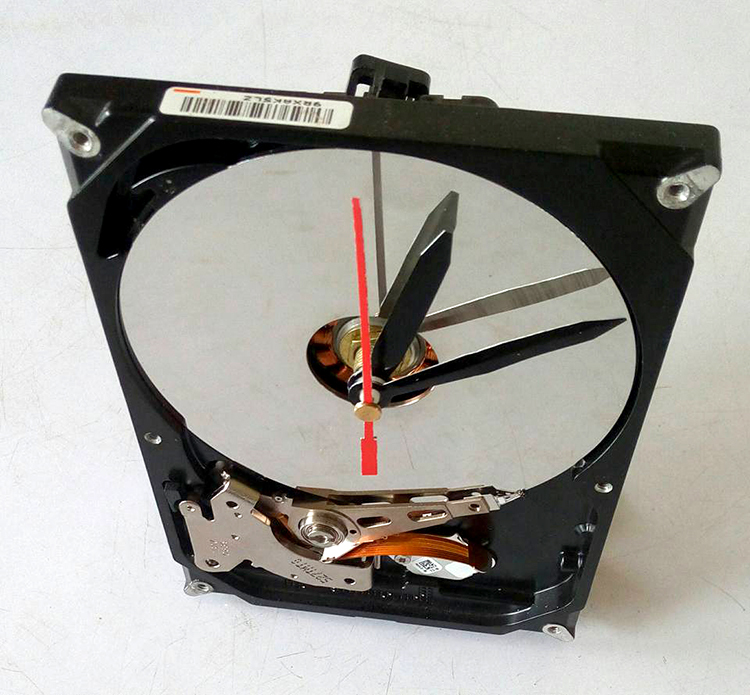 CDRom. by Ruth Gibson and Bruno Martelli. Cited by [Dixon 2007]. Gibson William Wikipedia A key (hard) SF author, with deep technological constructs. < Zero History. Penguin 2010. Nothing about digital arts. Mainly spooks ans surveillance topics. < Pattern recognition. French translation Identification des schémas. Editions du Diable Vauvert 2004. < Agrippa (1992), an intentionally vanishing text. Online. <The Difference engine. 1991, by William Gibson and Bruce Sterling. 1991. < Burning Chrome. Penguin 1986. - Quoted by [Berger-Lioret] p. 112. Gigacircus. Group formed by Sylvie Marchand, Lionel Camburet, with Jacques Bigot, Sébastien Legros, Yorick Barbanneau, Fred Adam , Veronica Perales and Cédric Doutriaux. The Marchand's approach, technically: "complex, interactive, immersive devoces mixing matter (wood, stone, canvasses) and ditital tools (cell phones, computer systems controlling videos, sound scores, slides, motion capture)". > Amexica Skin (2006) (typography given by the authors : AmeXica sKin). Multimedia performance. > Route blanche (2006), plus précisément « Tsagaan ! Que la route soit blanche.. ». Gilardi Piero. 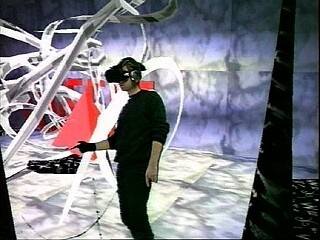 Interactive sculpture and installations 1990's. Wikipedia. - [Popper 1] pp.193-194: "reconcile nature with technique". [Popper 2] pp. 62-64. > North versus South (1992). Quoted by Popper2. > Inverosimile (1990). Quoted with a picture in artpress 2015]. < Not for Sale – A la recherche de l’art relationnel 1982-2000 by Piero Gilardi. 2003 Les presses du réel – Écrits d'artistes 2003. - 2010. Works with KSKF. Gillette Frank (and Schneider Ira). A wide openness of topics and reflexions. - [Couchot 2003] p. 178, [Popper 2] pp. 160-161,[Greene] p. 25-26. Giloth Copper. Artist and professor. Interaction. - Presently in Aix-en-Provence (France). Gilson Ellis. Dance. A director of the half/angel company. Cited by [Dixon 2007]. Gimp. GNU image manipulation program. A free software for painting (its functions are of Photoshop type). - Qbist is plugin of Gimp for fractal programming. > Gimp (2000 c.) Software. < Peindre avec Gimp. Tutorial by Fabrice Landais in Digital Artist, Juin-Juillet 2010. - Quoted by [Berger-Lioret] p. 107. Giner Pierre (Beaux Arts Magazine 2/2011). Ginzburg Carlos. Artist, fractalist. Wikipedia. Many time quoted by [Chirollet], and by [Ottmann, 1990] . See fractal. > Les fractals fractalisent (1989 c.) . Photographic mounting. Gioni Massimiliano. Curator. Quoted by [Quaranta] p.5. Wikipedia. Giorgini Also. Painting. Italian ? > Untitled Graphic (1977 or before). A picture in the Recode site. - [Couchot 2007] pp. 53-55 and [Popper 1] pp.55-56, who quotes a notice by Elsa Grébert. > Installations SOS Tiers Monde (1993). - [Popper 2] 164-168 présents Sable mouvant and comments: "not only an artist who takes part in different art movements, but also an architect of multimedia installations". Giovanotti Mondani Meccanici, GMM was founded in Firenze in 1984 by Antonio Glessi and Andrea Zingoni. 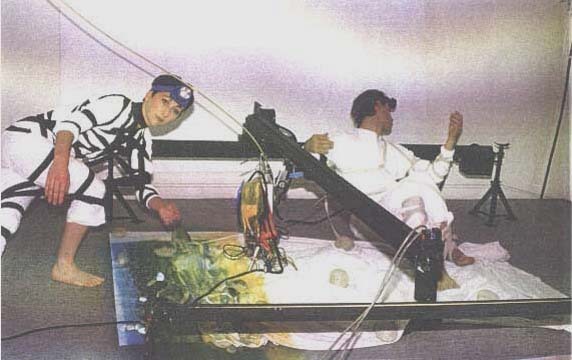 They consider themselves "the historic Italian group of video and computer art, which from start opted for a warm, passionated and "non algido" of new technologies. > Frigidaire (1984). A short film. Gips James and George Stiny have very early developed an algebra of forms. - Their basis paper of 1971 is online ( PDF). It gives the grammar's principles and examples. - In 1999, for a MIT conference, Gips writes a synthesis paper "Computer implementations of shape grammars", online (PDF). < Algorithmic Aesthetics. Computer models for criticism and design in the arts. (University of California 1979) pushes up their reflexion towards aesthetics. - Quoted by [Berger-Lioret] p. 66, 135. Girard Bernard. Philosophy PhD. Author and mediator in art and management. His Website. His Dissonances radio broadcast is dedicated to contemporary music. > Ménagerie (1993) with Susan Amkraut. Stereoscopic binoculars to enter an animal world. Quoted by [Couchot 2003]. Girardot Florian . No more info than the work Face. Giraud Fabien. Wikipedia . Works with Raphaël Siboni. Moves. > The Death of Ray Kurzweil (2014). Video. > The Outland 2009. A closed simulator. Cited with picture in Artpress2 Art in the digital age, May-June-July 2013. > Sonde 04#12 (2012), experimentation about interaction by Emmanuel Guez, Christian Giriat and Xavier Boissarie. They explain their work in [Moindrot], pp.269-284. Girod de l'Ain Malo. He founded Digitalarti. Giros Albert. Painting. His presentation in ACM Siggraph Educational Committee : "by the end of the 80s. In these years I began to work ith graphics based on algorythmns on a rudimenal computer Inves, later with Apple Macgraphics and animations with Amiga 500 and 2000". Giscard d'Estaing. See French note. - Quoted by [Berger-Lioret] p. 38. Giscloux Derrick. Musician, interactive systems desginer. He works on the proprioceptive range of gesture and on temporal semiotic units. - He is the origin of CreArtCom studio (http://www.creartcom.eu) and its projects. - Residence at Centre Erasme. - a founding member of Anra network (http://www.reseau-anra.org). - a founding member of LOL, Laboratoire ouvert lyonnais: the Lyon's hackerspace (http://labolyon.fr). - the secretary of Metalab, first place dedicated ton digital arts in Lyon (http://www.metalab.fr). Microfeelings, by Giscloux: a music of electricity... a source of blindness as well as fascination. > Scratching the Surface (2011). 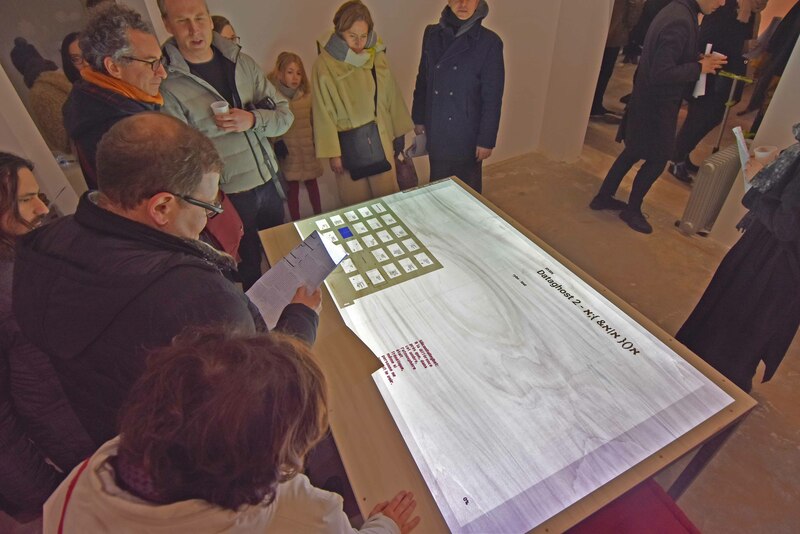 Tactile table (software) realized by CreArtCom. intended to be used by the Scratch Bandit Crew (a music group) in 2012. Article. > Noderunner (2002) A race which transforms a city into a game court, presenting the wifi hotspots a beacons [Greene] p. 179. < L'outre-lecture. Manipuler, (s') approprier, interpréter le web. by Frank Ghitalla et al. Published by Centre Pompidou. SH No 05 (concepts). Glahn Vera-Maria. Artist and project leader. Field Studio. Glassford Thomas. Light art (mainly). Page Museum as hub. > Xipe Topec (2011). Illumination by LED of a Mexico building. Glazier Loss Pequeño. Animated poetry on a screen. > Biggz (2002), in cooperation with Simon Biggs. [Bootz]. Wor; : Rocking circle C. , photography (leaf in a frame). Glessi Antoni. A founder of Giovanotti Mondi Meccanici. Gleize Jean-François. Lecturer at Ecole Polytechnique (Paris). Glimcher Marc. Leads the Pace Gallery in New York City. < Locical Conclusions: 40 years of Rule-Based Art. Pace Wildenstein, New York City, 2005. This 185 pages books, with large reproductions of works, traces the ways of creation by rules, which could be taken as algorithmic creation. Note for instance (pp. 118-121) the conceptual elaboration of iterative abstraction, generated imagery and axiomatic systems. The book does not deal with digital art, but at least two of the artists presented, Andy Warhol and Gary Hill, have made some digital creation. Globensky Christian. The website calls on philosophical militantism. > Valise-Paradis (2011). A common object transformed into a critic of our over sanitized world. > 1490 (2011) A symbolic work about the invention of the individual chair. < Reste et ressentiment (le Paradis). by Christgian Globensky Esam 2006. < Zarathoustra-Boudha. 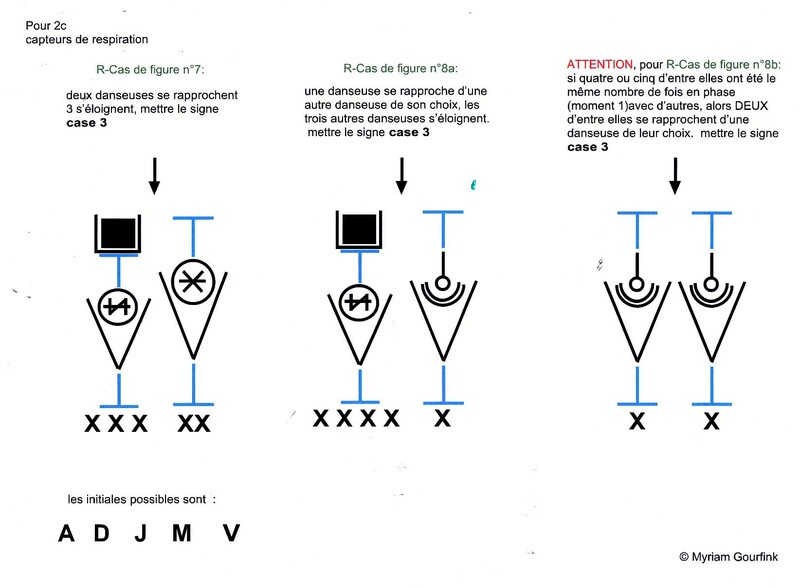 Vers un lexique commun, followed by Naissance et spéculation sur la philosophie de Dyonysos. L'Harmmatan 2004. Glymph Jim. See Investing page. The computer companion of Frank Gehry. Not directly an architect, more a computer specialist. But, at such a levl, he may be considered an artist himself. Gobeille Emily. "Digital director". His website Zany Parade. Gobelins. "L'école de l'image" (The Image School, Paris). < Trois petits points (2011). A film by Lucrèce Andreae, Alice Dieudonné, Tracy Nowocien, Florian Parrot, Ornélie Prioul, and Rémy Schaepman. < Le cahier de Gobelins. L'école de l'image. By a group of authors (Gobelins students) Eyrolles 2004. > Radiation (2015C) Painting and processing. > 1 The Road (2018). A novel written by an AI. See our post. Gogins Michael. Composer of algorithmic music. - Quoted by [Berger-Lioret] p. 60. Goguey Félicien . Web art. > Off Course: Escuala Del Caos (2013). 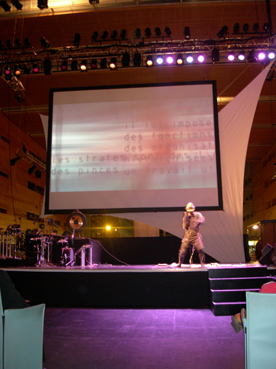 Performance presented with Mark Marino during the Chercher le texte festival (2013). > Ouija 2000 (1999) [Popper 2] and comments in[Popper 1] p. 60. > Telegarden (1995). Gardening by robots, tele-controlled through the web, by Ken Goldbeg, with Joseph Santarromana, George Bekey, Steven Gentner, Rosemary Morris, Carl Sutter, Jeff Wiegley and Erich Berger. Still operational in 2010 (Perhaps closed in 2004). Nework + robots, [Paul], [Popper 2] pp. 380-382, [Greene] p. 68-69. 2 pages with pictures in [Grau 2003].Website. > Molten elements (1999). Mixed media. various figures. a little like a Greek pottery [Wands]. Goldman Harvey. Multimedia. Digital Media pages. Goldsmith Kenneth. Wikipedia. A poet and theorist. > Uncreative Writing: Managing language in the Digital Age. Columbia, New York University Press, 2011. < Interactifs. Fonctions et usages dans les musées. by Bernadette Goldstein and al. : Direction des musées de France. 1996. Gollifer Sue. University of Brighton (Australie). - Organizer of Isea, Internal symposium on Electronic arts (Sydney). > Untitled G1 (2000), inkjet print [Wands]. Golon Laurent . Sound, sculpture. > Les Siècles obscurs by Julien Fezans (sound engineer), Laurent Golon (sound plastician), Tanguy Nédélec (scenographer) et Judith Depaule (state director). A machine for four operators. Installation and performance-concert. > PSD Type (2011). A typographic game with simple forms. A description by Random Magazine. - A tentative explanation of art at the end of the classical period, using Saussurean categories. < Art & illusion. A study in the psychology of pictorial representation. Phaidon 2002-2005. Gomez de Araujo Emmanuel. Editor-in-chief, Movie Creation. Gommel Matthias. A member of Robotlab group. > The Birdwatcher III (2010 ). Installation. “Several accounts where created on Twitter, one for each of the birds listed below. A Java application, developed in processing, is used to update the twitter status for each of the birds according to each species particular behaviour (ex. owls can only be heard at night, roosters sing at sunrise…). The application also gets xml weather reports from the Yahoo Weather Report which also diferently affects the species behaviour.This application is running 24/7 from a dedicated computer installed at my studio. A Master account called The_BirdWatcher follows all birds http://www.andregoncalves.info/installations/thebirdwatcher/. - Another work is an automted feeder for birds, with sensors and recording of the birds songs. Goncalvez José-Manuel. Manager of the Centquatre, a Paris cultural center, since June 2010. He managed La Ferme du Buisson from May 1999 to June 2010. Painting and processing (1996). Long title. [Paul]. < Digital Image Processing. by Rafael Gonzalez and Richard Woods. 2d edition. Pearson/Prentice Hall 2002. An important reference. Gooch Bruce. Assistant professor, Victoria University (British Columbia). Bio page. - One of the founders of Computational Aesthetics conference. < Non-Photo-realistic Rendering with Amy Gooch. AK Peters (2001 ? ). < Illustrative Graphics and Visualization , with Amy Gooch and Mario Costa Sousa. AK Peters. > eCloud (2007), by Nikolaus Hafermas, Dan Goods and Aaron Koblin. Permanent work in San Jose airport. Expression on a wall of meteorogical data. Dedicated website. 2 pages in [Klanten]. < La raison graphique ou la domestication de la pensée sauvage. French translation by J. Bazin and A. Bensa, Edtions de Minuit, 1979. > Autodraw (2017c). Generative interactive software, somehow childish, but opening a promising track. - Deep dream (2015) Generative software. "Inceptionist art". See Pinterest. Says Manuela de Barros : L'équipe commence par annoncer qu'elle travaille sur un système de reconnaissance d'images. La consigne donnée à l'IA est d'accentuer ce qu'elle croit voir... Après quoi Google rend l'outil accessile au public, entraînant une avalanch d'images hallucinées, puis réalise une exposition où le tableau le plus cher est vendu 8 000 dollars." (Le Monde, 0ct. 20, 2018). < The googlization of everything (and why we should worry), by Siva Vaidhyanathan. University of California Press 2011. < The Google story. by David Vise and Mark Malseed. Delta, 2005. > GoogleTV (2011). See television. > Sketchup (2000 c.) Free on line software for 3D graphics. But you have to buy the commercial version if you want to communicate the files. > PageRank (1998). The key of Google success. < PageRank: standing on the shoulders of giants. A ten pages article in Communications of the ACM, June 2011. < Sketchup 8. Par jean-Luc Clauss. Editions NI 2011. - Quoted by [Berger-Lioret] p. 130. More in French. Gordijn Lonneke. A member of Drift Studio. > Flylight (2013). Presented at Pad Paris. See our blog. Gorgé Francis. Assez vu page. < L'histoire de Runme.org, répertoire de Software Art. Thirty pages in [Lartigaud]. - Took part in the Runme.org project. Gorman Samantha. "Awriter, scholar and media artist who composes for the intersection of text, performance and digital culture". - Presentation at Chercher le texte. Locating the Text in Digital Literature (Paris, 2013). The program. Goron Arnold. Kinetic art in shop windows. Not very digital. Using Meccano and other parts. Pleasant and lively. Gortais Bernard. Multimédia. Google website. Digital installations since 1990. Suguru Goto: Augmented Body and Virtual Body at Utopiales 05. 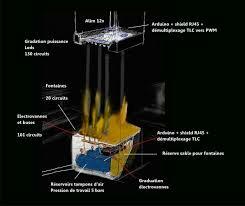 - Algorist, real time 3D engineer, and teacher (University Paris 8). - For fun: a small animation about lines (source code included). - A cute application of fractals (source code included) ". One of the principles is derived from Buddhabrot drawing. > SCP Camera. by Xavier Gouchet, Rémi Quittard and Nicolas Serikoff. ACM Siggraph 2007 Emerging Technologies. On line at ACM library. >You Me Our Love and the Electronic Guy (Ymoleg), by Raphaël Gouisset and his team. Theater. Goulet Olivier. Transmedia artist and performer. - He created Gouraud shading. Inria consultant. - Honor president of Afig. < La baguette magique qui cache la ficelle. Communication at the symposium Le futur a un passé. 2011. Myriam Gourfink performing, and a part of the This is my House (2005), using the Laban choreographic language. Gourfink Myriam (and Cammoun Zakariyya, computer assistant). > Innomée (2012), presented at La Gaité Lyrique. Without visible sensors, but with screens on the floor to present the dancer with the progress of the score. Our advice: these very slow moves, often on equilibrium under one leg and with a lot of muscular tensions, are difficult to enjoy but by specialized spectators. But one of them said us "It is a real extension of her former works". < Danser sa créature, by Myriam Gourfink. Les presses du réel, 2012. - Dance with sensors, and electronic display of the choreographic score. - Bains numériques in Enghien 2007. - Quoted by [Berger-Lioret] p. 90, 186. Govender Ravi. A member of Cuss group. Grach Alain Film maker, production manager (until 2004). Paris ACM Siggraph page. Gracie Andy. Hostprods. "Much of my work over this period (2000-2010") has been involved with exploring various ways in which reasonably intelligent robotic and associated technological systems can be incorporated into simple 'hybrid ecologies'." - Note in "We make money not art". > Small world for robots and insects (circa 1980). > Noteput (2009), with Jonas F. Heurf. 2 pages in [Klanten]. < Rethinking Curating. by Ber Graham and Sarah Cook, ed. : MIT Press 2010. See comments on the Curating item. Graham Dan. Video maker, quoted by [Couchot 2003] p. 178, [Moulon] p. 82. , [Parfait]. Wikipedia. Grainstick. Interactive installation with music. Gramazio Fabio. Architect. Professor, ETH Zurich. > The Programmed Wall (2006) by Fabio Gramazio and Matthias Kohler. Paedagogic and experimental work. Uses robots. Quoted by [Iwamoto]. A sculptor, playing on concepts of instability and knowledge imperfections. - Was in residence at Synesthésie in 2011, cooperating with Eric Chauvier. Grancher Valéry Plastic artist , multimedia, mainly on an ironical mode. Grangier Emmanuelle. Interaction, dialog with robots. < Creation: Life and how to make it . by Steve Grand. Weidenfeld 2001. < Growing Up with Lucy: How to Build an Android in Twenty Easy Steps by Steve Grand. Weidenfeld 2004. A comment by the Guardian. Grant Ian. Thames Valley University. < Experiments in digital puppetry, with WII and Quartz Composer. Communication of 16 pages in [Adams]. Granular Synthesis. Group making graphics, cinema and sound. Members : Kurt Hentschlaeger and Ulf Langheinrich. - It is also the name of a musical synthesis technique. > Modell 5 (1991). Live cinema, quoted by [Moulon]. - Quoted by [Berger-Lioret] p. 173. > Sisyphean Octopods by Mariela Yeregui and Miguel Grassi. See our post about Siggraph 2017. > Solar Wind (2016). 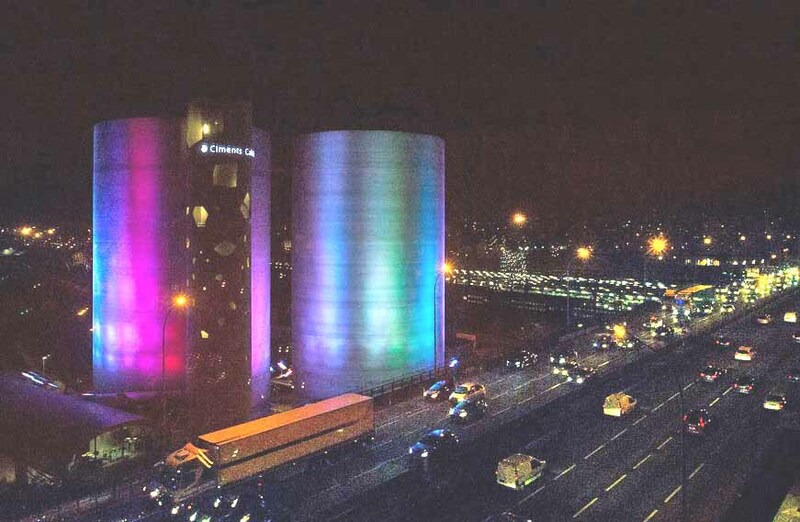 The color on the towers change according to the magnetic activity of the Sun. Gratin Research group about art and technologies. Led by Antoine Schmitt. Gratius Jean-Yves. Music, instrument design. A member of Orkestronika group. < Virtuelle Kunst in Geschiche und Gegenwart. Virtuelle Strategien. Reimer, Berlin, 2001. < MediaArtHistories. edited by Oliver Grau, MIT Press 2007. < Virtual Art, from Illusion to Immersion. MIT Press 2001,2003. Oliver Grau, during his comunication "Does the Experience of Immersion Drive Media Art? " at ATC symposium, Berkeley, 2002. Graumnitz Michael. 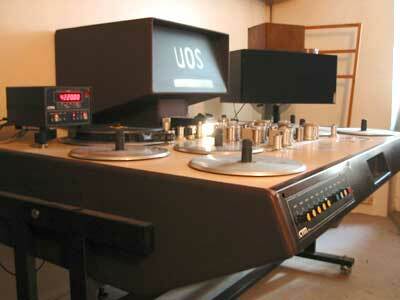 A pioneer in digital video since the 1980's. - In 2012, presentation of his work at Paris ACM Siggraph. GRAV. Groupe de recherche d'art visuel, (Visual art research group) 1960-1968. Horacio Garcia Rossi, Julio Le Parc, François Morellet, Francisco Sobrino, Joël Stein, Jean-Pierre Yraval. A wide bibliography. < GRAV. Grenoble 1998 show catalog, edited by Yves Aupetitallot, with texts by Frank Popper. Includes a biography of the artists. - [Popper 1] gives 8 pages to describe the group and its epigones. Gray Cameron. Multimedia. Mike Weiss gallery, NYC. > I thought you would always be mine (2013). Combines a poster and a video (Poster, monitor, media player, found audio 62x42x9 cm). > I was made for dancing All, All, All night (2012). GreatHouse Labs. Artistic use of pyrotechnics, more or less combined with robotics. Greece. See our geographical guide. > I/O/D (1997). Artistically oriented web browser, by Matthew Fuller, Colin Green and Simon Pope. [Greene] pp 85-90. Greenaway Peter. A specialist in compositing, works in depth. He is a theorist as well as an artist. Wikipedia. - An article about him in Artpress, February 2013. The independent Oct. 7, 2007. 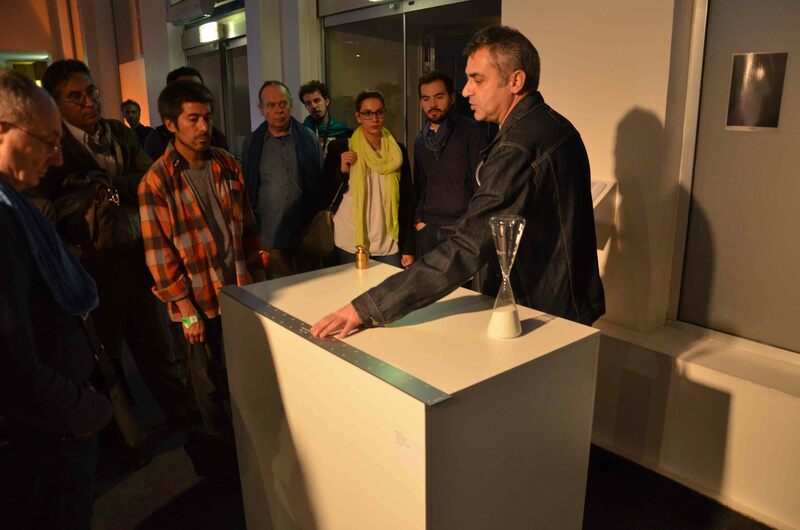 - On April 3, 2012, presentation of his work at Paris ACM Siggraph by Danielle Rivière and Fabien Maheu. - Dis Voir has published several of his works. > The Tulse Lupez Suitcase (2003 c.). > Prospero's book (1991). Video adaptation of Shakespeare's The Tempest. A full comments chapter in [Murray]. Greenberg Clement. An art critic, not properly digital, bur of historical importance. Conceptually, he gives wording to the focusing of arts upon their medium. < The collected essays and criticism. Ed. By John O'Brian. 4 volumes. The university of Chicago Press 1993. Most comprehensive. Useful only if you want to dig deeper in Greenberg's mind. < Art and Culture. Critical essays. Beacon Press 1961. This book is sufficient to get the gist of Greenberg thought, mainly the general chapters (Avant-Garde and Kitsch, The Plight of Culture). < Internet art, by Rachel Greene. Thames & Hudson 2004. A small and dense book, with many artists presented. French translation in 2005. < L'enfant et les médias. Les effets de la télévision, des jeux vidéo et des ordinateurs. by Patricia Greenfield and Retschitzki Jean: Editions universitaires. Fribourg 1998. Greenwold Simon. Has worked in Medialab (see his page page). His curriculum vitae . Generative creation in space, visual sculpture and installations. > Using pills for a portrait (2006 c.) Siggraph. > Robots (2015C) by Thomas Gremmier , robotics. Grenier Etienne. Multimedia; A member of Projet Eva. Grenzfurthner Johannes. Founder and artistic director of Monochrom. Wikipedia. Organizer of Arse Electronica (see also Wikipedia). - Commented on with pictures by [ Debatty et al. 2011]. Greta Graphical network of persons, about continuous education. Ecole supérieure Estienne. Greyworld. A London collective or artists. Wikipedia. > The Source (2004). Lights in a building (Client London Stock Exchange). > Dark horse of abstraction (1995). Photography and graphic processing. Homage to Jenny Holzer and Barbara Krieger. [Paul]. > DJ Cable (2011). Applications on smartphone. Griffiths Dave. Generative music and animation production. Indicated by Alain Lioret. > Fluxus. A tool for performance arts. - Quoted by [Berger-Lioret] p. 72, 185. Victor Grillo: Méta 09, The Sysyph's myth. - He built a painting machine, and gave reflections about the "metapictural act". > Méta 09 (1999). Projection of paint on a sheet around two dancers. With video effects by Marcel Dupouy. Grimon Gilles. A painter, with inspiration from digital documents. < Le jour où les robots mangeront des pommes. by Emmanel Grimaud and Zavel Paré. Petra 2011. Interesting, but technically rather fuzzy, making difficult an evaluation in depth of its conclusions. < Dieux et robots. Les théâtres d'automates de Bombay. L'Archange minotaure 2008. < L'animsime technologique. Introduction to Maquinas, a book by Zaven Paré. This text explores the convergence issue of men with machines, with an important place given to the uncanny valley of Masahiro Mori. < Le sosie de Gandhi/Gandhi's duplicate Isthme Editions 2007. < Bollywood Films Studio. CNRS Editions 2004. GRIS . Groupe de Recherche en Infographie et Synthèse d'Images. Laboratoire d'Intelligence Artificielle, University Paris 8. Gris Juan. The most technical of the cubist painters. He had received an engineer education. > Verre et journal (1916). - Quoted by [Berger-Lioret] p. 30. Grisard Fabien. Scientist, interaction. Numediart Institute. > Gestural interface for performative composition from a bank of sound samples (2014). Gritz Larry. Lioret pp. 209-210. Groboto. Sofware, by Darrell Anderson, for 3D creation. Groebel Matthias. [Popper 2] pp. 95-99 (two works). Grof Ferenc. Co-founder of Société Réaliste group. Gröhn Lauri. Interview Audio and multimédia: "Music springs off image". > Synesthesia. Musical software, composition. Gromala Diane. Founder and leader of the Transforming Pain Research Group (TPRG). Her Gatech page. - September 2011, a show of her (and or her team) works, based on their experience in suffering medicine, art, interactive design and computers. > Still Processing (2014) Multimedia installation. Gross Markus . Professor, ETH Zurich. Benjamin Grosser : Computer watching movies. Grosser Benjamin (or Ben) He focuses on the cultural, social, and political effects of software. > Facebook Demetricator (2014). Part of a show at Galerie Charlot, november 2015. > Computer watching movies (2013). Graphic drawing from film. This work obtained in 2015 the Vida award (Art and Artificial Life International Awards), from Fundacion Telefonica. > Interative Robotic Painting Machine (2011). 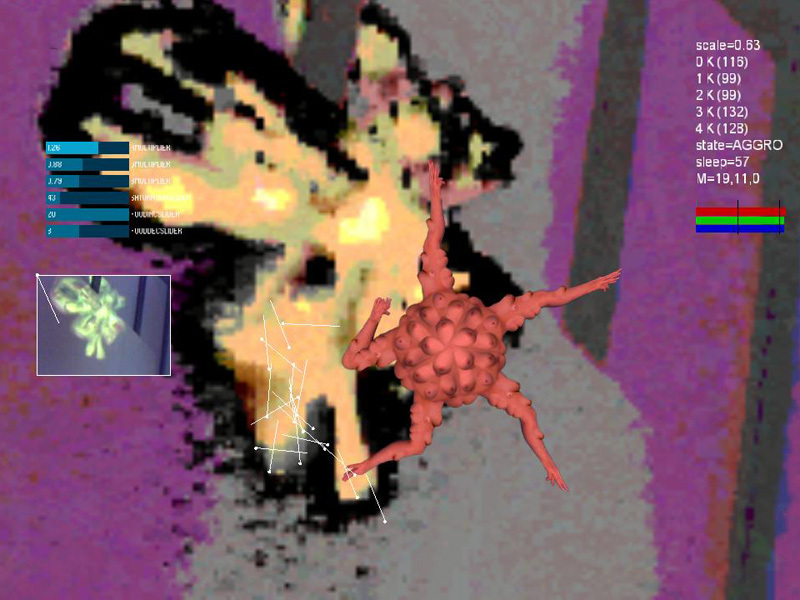 > Bugscope (1999). Music research. Grotepass Maia. Multimedia. "Code is her basic material". > commitOften (2011). Installation with screen. GroupeDunes. A studio in Marseille (France). The website is quite difficult to use. The studio is implied in local cultural projects. > COOP scenography (2013). Signed by Madeleine Chiche and Bernard Misrachi, with Thierry Danet. > Netzbikini (1995). Web art. Photo in [Greene] p. 65. Grundland Mark . Works on text and games. Gruppo 63. Literature group, organized in 1963. Rather far from digital concerns. See Encyclopedia Britannica, quoted by Darko Fritz in [Lartigaud]. Gruppo N. A group of artists. Encyclopédie Larousse. Created 1959 in Padova (Italia) by Alberto Biasi, Ennio Chiggio , Toni Costa , Eduardo Landi and Manfredo Massironi. Light-cinetic art. .
- Presentation of the group by Eugenio da Venezia. - Quoted by Darko Fritz in [Lartigaud]. Gruppo T. Encyclopédie Larousse: a group created in 1959 in Milano by four artists : Grazia Varisco , Davide Boriani , Gianni Colombo and Gabriele de Vecchi. And (later ?) Giovanni Anceschi. Aim: an impersonal and collective art, using as main material light (artificial) and technological elements, such as motors, to create movement. - Quoted by Darko Fritz in [Lartigaud]. Grzinic Marina. Performance and video. [Murray]. > KG project (2016 Drawings are serigraphed on the garment, and a smartphone, when pased across some zones triggers a digital animation. > The Automatypewriter (2010 c.) Interview by Up, Not North. Gudukbay Ugur. Animation cinema. Presentation in ACM Siggraph Educational Committee. - Reseach and realization of a model for Turkish puppets theater Karagoz. Guébo Israël Yoroba. Journalist, specialist in new media. One page and pictures in [Dermineur]. Guénin Jean-Michel. Painter and graphic artist. > Parcours pictural (2008) The aim of this project is to show that new technologies may communicate a sensitive approach of space, and so bring closer art and architecture. Milène Guermont: Agua. Monumental concrete. Guermont Milène. "Concrete emotions" is her motto, in a very material way. She makes art with concrete stuffed with sensors and emitters of sound and light. > Causse (2016). Concrete tomb stone with integrated fiber optic. Not digital. > The Crystals (2016). Exposition at Ecole des Mines de Paris. > Phare (2015) A monumental installation for COP 21 in Paris. Guerra David. Music composer, telecontrol. Music center">page. > Dématérialisé (2014, work in progress). Audiovisual performance. Guess Jeff. Photography and video. > Haunted by Algorithms (2016). A large editing table. > Partially Instantiated Object (2011) is a photograph, a digital Lambda print mounted on Diasec. The image consists simply of a text on a white background representing a runnable computer algorithm. > Levitation (2016C). Presenatation (PDF). > Etalons Kilo-Octets (2013). Dominique Moulon explains : "The works of David Guez articulate themselves around a will to shift, to combine parts. Here, around the idea of "kilo". (our translation). > Paper hard drive, "La jetée" (2013). Transfer of digital data onto paper. Cited in Artpress2, Art in the digital age, May-June-July 2013. Works of David Guez explained by Dominique Moulon at Show Off 2013. > La Bible (2011). Digital printing, presenting the Bible in A1 format. Selected by Digitalarti. As other works of his series "Hard disk on paper", this work calls to think about perennial memory. > Horloge 2067. Permanently on show in the Foyer of La Gaïté lyrique (Paris). > 2067 Télécom (2010) . A phone booth proposing the visitor to let in vocal messages to the future. > Radio 2067 (2010). Selected by Digitalarti. - 2067 is a set of artistic proposals (installations, websites , objects) about time. The series is presented in a PDF document. > A la recherche d'Eadweard Muybridge. Ascending stairs (2014). > Reading Club (2013), with Annie Abrahams, performance in Chercher le texte symposium. Guez Judith Artist and scientist. CEO founder of Art&VR Factory, Laval Virtual. Secretary of “Les Algoristes”. - Her blog site Art @ VR. > De toi à moi (2012). with Laetitia Perez. > enVêre (2012) "propose, en nous faisant suivre la trajectoire d’une balle de Pong, un parcours initiatique à travers les illusions. Se présentant d’abord comme un simple terrain de confrontation, le dispositif vient surprendre les joueurs en fractionnant l’espace, avant de les entraîner dans une spirale de pièges sensoriels. La situation se renverse, et les adversaires d’alors n’ont d’autre choix que de coopérer si ils veulent voir jusqu’où ce fil les emmène. Le jeu devient ainsi un prétexte pour se rendre compte de façon plus perceptible de cette limite entre le réel et le virtuel, parfois trop fine pour être perçue. réalisé dans le cadre de ma thèse : "Compréhension et création des illusions entre le réel et le virtuel et ses effets sur le spectateur, en relation avec l'art, la technologie et la psychologie" (laboratoire Inrev Paris 8). Gufflet Pierre. . An artist based in France and Barcelona. Mainly sound. Designer of a digital systems in performance and contemporary art. He "tries as well as he can, to disturb technologized mass-media consumer's mind... He tries to produce a sound and visual material in a live way where usually heavy workflow doesn't allow it. - The website (on Dec. 15/2013), is funny an neverthely efficient. > A real life #3. Cityforms. by ZBuffers and Als. An audio-reactive and sensory performance (Dec. 2013). > Balançoire (2004). Interactive musical installation. > Binette, "a Biphase 16mm and 35mm editing table to Midi Time Code interface converter." Guibert Thierry. Painting/graphics. A member of Sliders Lab group. > Solaris (2016), by Thierry Gilbert and Emmmanuel Hourquet. 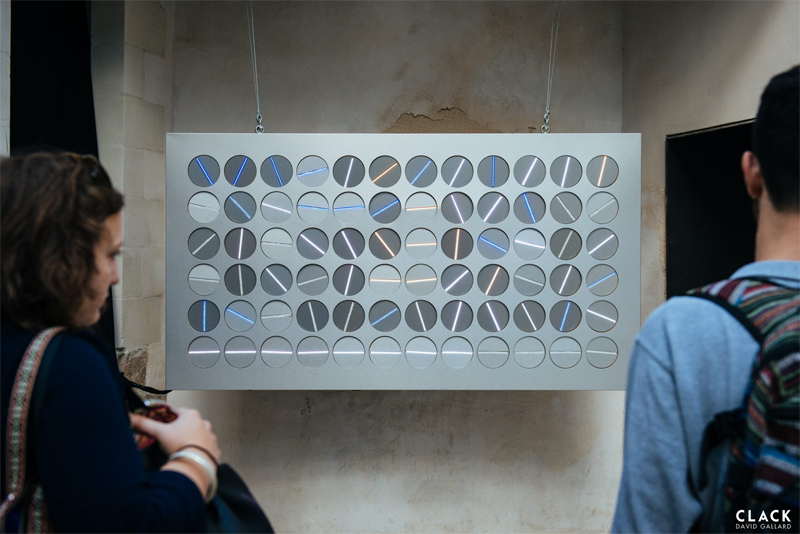 Discs painted with graphic formes and read by a cell to produce sound. Guichard Eric Online PhD thesis : Internet et écriture. Guignard Christophe. An associate of Fabric|ch group. Guilet Anais. Her website: Le cyborg littéraire"
Pschuuu, by Christoph Guillermet, Jacques Boüault and Frédéric Duzan. Guillermet Chistoph. See Karistouf page. A videas and an lithgshow specialist, Guillermet has developed a software tool to control stage lights, notably WhiteCat. > Pschuuu (2013 c.). with the technical assistance of Jacques Boüault and the musical commposition of Frédéric Duzan. See the webpage. It's a sand jets analog of the water fountains of Agam. It combines three forms or expression: the sand jets, the light animation with projectors, and music. As far as we cann see from the documentation, each version of the project is recorded, without generative or interactive functions. But it is a research about matter, moves and emotion. A form of synthsis between plastic arts and live performance. Guillou Jannick. See also the Cargo Collective page. Guimas Vincent. Manager, Ars longa gallery. Guiol Etienne. (video and glass). A member of BK Digital Art Company. Guiton Jean-François. Video maker. We don't count him as digital, although a work like Tramage is very near to generative art. > Tramage (1999). Cited by[Parfait], p. 90_91. The Gulf Stream. Performers. See Trajectoires AV. < Kunst am Computer. Reimer, Berlin, 2002. Many works presented (shortly). Gupta Shilpa. Kinetics with flapboards and textual objects. On the border of digital, textual and kinetic. Gundam. The robot everybody loves (not only the Japanese). Is it art? Dominated over Tokyo in 1979. Gunther Ingo. Painter, socio-politically engaged. > Refugee Republic (1996) [Popper 2] pp. 352-355. > 99 Cent (1999). Digitally manipulated photographs. Quoted by [Lopes]. 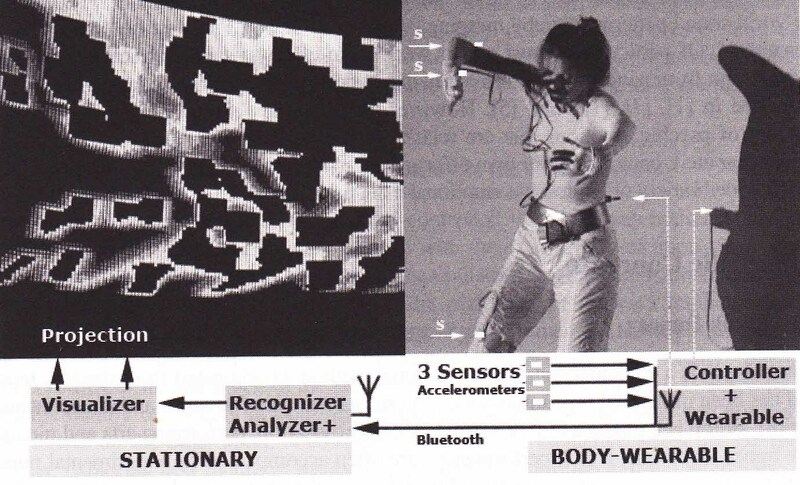 Gutknecht: a synthetic view of the animation sysem, comprising a wearable part (by the dancer) and a stationary part. The sensors provide data, and the system extracts semantic information in order to produce visual effects on a screen. < 857 clusters (2012). Presentation in January 2012 at Labomedia. Gutknecth Jürg. Professor, ETH Zurich. A programming languages specialist. < Advances in expressive animation in the interactive performance of a Butoh dance Communication, 16 pages in [Adams], by Jürg Gutknecht, Irena Kulka, Paul Lukowicz and Tom Stricker. Guttman Newman. Music. Cited by [Baudouin]. > Silver Scale (1957), using the Mathews music synthesis software. - She "is the author of several hypertext fictions including Sister Stories, Quibbling, and Izme Pass. She has also published many essays on hyperfiction, collaboration, and interactive narrative." Guyon Aurélie. Scientist. Not present on the web, on 12/2013. > Art Agent (2004). A program simulating Jackson Pollock painting. - A lot of works are prints on fabric, mainly black, sometimes with a typographic orientation. < Wade Guyton OS, by Scott Rothkop. Yale University Press 2012. Catalog of the exposition 2012-2013 in Whitney museum (NYC). Guzzetti Ale Rhizome page. Sculpture, Interaction. Gyger Patrick. Manages le Lieu unique, national stage in Nantes. Györi Ladislao Pablo Virtual poetry. [Bootz]. Gysin Brion. A sound poet. > I am that I am (1959). Assisted by the computer professional Ian Sommerville, a sound poem on a Honeywell computer, with permutations on the title letters. [Bootz].